by Michael Beschloss provided by textbooksfree.org Read horizontally. 2) Pictures are from Wikipedia and the Internet can often be enlarged with a click. 3) Editorial comments are in red font. In London Joseph Kennedy was determined to stop another fruitless war that could threatened his three sons, Joe, Jack, and Bobby. Tyler Kent, a clerk in Kennedy's operation, discovered the secret messages between the two leaders. Convinced they were dragging the U.S. into the war on behalf of the Communists and Jews he planned to make the messages public right before the FDR's reelection. His apartment was raided by Scotland Yard. They found many documents including that morning message from Churchill to Roosevelt and Kent's Jewish mistress in the bedroom. Kent was tried in London where the matter of their official communication could be kept quiet under the Officials Secrets Act.
' "By the end of his second term FDR's Hyde Park branch of the Roosevelt's was no longer on speaking terms with those from Oyster Bay." ' Theodore Roosevelt, Jr. had wanted to follow his father to the Presidency. He and his sister Alice Longworth were members of the isolationist lobby and not happy with President Roosevelt. FDR asked Hoover to investigate Willkie. Getting lend lease of fifty destroyers for Britain through Congress was proving difficult so FDR asked Attorney General Robert Jackson if he could just do it and again Jackson said OK to a difficult issue. It was announced on September 3, 1940. Willkie said it was dictatorial and FDR said Jefferson didn't ask Congress when he made the Louisiana purchase. By the end of September Japan had joined Hitler and Mussolini. Pictured here President Roosevelt signs the Lend-Lease bill to give aid to Britain and China (1941) source Roosevelt's Democratic nomination was apposed by 148 delegates including Joe Kennedy who like many opposed the U. S. entering the war. The Democratic platform opposed entry but FDR got them to add unless attacked. Both McKinley and Wilson had used attacks to enter a world war. Hitler's chief diplomat was funneling money to isolationists on Capital Hill. Roosevelt had a recorder installed in the Oval Office hoping to stop leaks like the false claim he would defend Europe form Germany. The recorder was playing when Roosevelt was slinging mud about Willkie's affair with Van Doren. By October the expected Republican surge came as Hitler was stalled. Willkey was gaining because of Republican charges that Roosevelt was making secret deals to get America into the war. Powerful union leader John L. Lewis used radio to tell America that Roosevelt was scheming and would make "cannon fodder" out of their sons. Joe Kennedy's family returned to America as German bombs were hitting London and Kennedy..." was ready to put "twenty-five million Catholics votes behind Willkie ..."
Joe Kennedy was extremely successful at a young age and was extremely patriotic. Obsessed with leaving each of his nine children with millions of dollars, he felt his small capitalistic class was safer under Hitler than under Churchill or the communists. 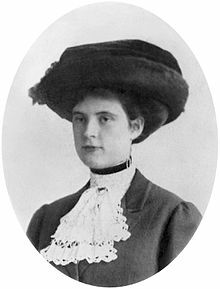 Kennedy was an Intimate and close friend of writer/politician Clare Boothe Luce. In a letter before his planned radio Presidential campaign endorsement of one of the candidates she begged Kennedy not to indorse Roosevelt as she was "terribly frightened for this country..."
Gallop 1940 polls revealed Americans felt the most pressing problem facing the country by far(47%) was staying out of the war. But Roosevelt knew that especially in a time of crisis he was to lead and not to follow the American public. "Roosevelt was inspired by an almost mystical belief in the glory and power of Presidential leadership...." Pictured here Generalissimo Chiang Kai-shek of China (left), Roosevelt (middle), and Winston Churchill (right) at the 1943 Cairo Conference. EDITOR'S NOTE: It was the anti-private property anti religion foundation of Communism that stopped the West from joining Russia in a sincere attempt to stop Hitler in the late 1930's. People like Joe Kennedy disliked Communism much more than thy disliked Fascism. Upon returning to Washington the Summer in 1940, Kennedy entered the Oval Office and found the President using a cocktail shaker. Kennedy was upset at being shut out from the destroyer lend lease deal but FDR blamed it on the State Department. People wanted Willkie to bargain with Hitler and they weren't happy with the lottery for the America's first peace time draft involving men twenty-one to thirty-five. Isolationist said those who voted for the draft would lose reelection. Roosevelt was relieved when Republican opponent Willkie endorsed some form of military service. Kennedy endorsed FDR saying the war involvement charges were false. Germany was very upset because they felt FDR could mold America's ' " easily excitable character" ' and bring the United States into the war. 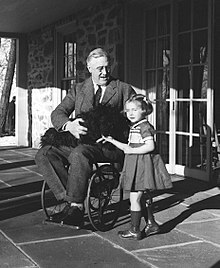 After the election, FDR enlisted Willkie's public support to help England. His supporters feared hire taxes and loss of their businesses and they threatened Willkie who, ' " hurt and worried" ' agreed to help Roosevelt. "But in the late 1930s, President Franklin D. Roosevelt wanted to put restrictions on the court when it came to age. Largely seen as a political ploy to change the court for favorable rulings on New Deal legislation, the Judicial Procedures Reform Bill of 1937, commonly referred to as the �court-packing plan,� was Roosevelt�s attempt to appoint up to six additional justices to the Supreme Court for every justice older than 70 years, 6 months, who had served 10 years or more."